I love coming across an unexpected treasure. The other night while Matt & I were strolling down Armitage Ave, after our dinner date, we popped into American Apparel, just for kicks. Not only were they having a sale on bikinis, but I spotted a must have accessory. I have been wanting just a basic black triangle top bathing suit for our island escape and they had the perfect one, score! Then my wondering eye caught a glimpse of all the goodness hanging on their back wall. 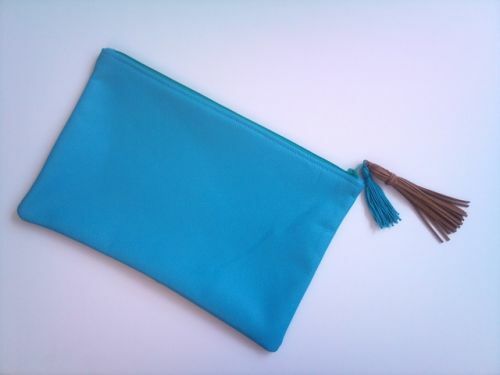 Loads and load of leather & suede pouches in every color, multiple shapes & various sizes. My heart stopped momentarily! 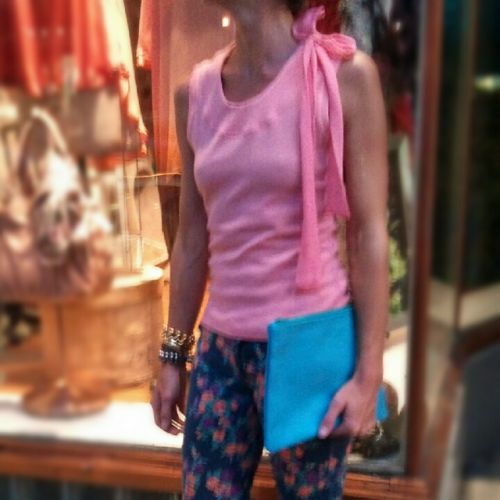 Some of you might remember the Clare Vivier clutch I was coveting around the time of my birthday, right? Like the one below. As much as I love the designer bag, it is not in the budget, but I can certainly justify the price for the gorgeous supple “Made in the USA” leather pouch from American Apparel. I could have taken one of each in every color in both medium and large, but instead I resisted. Finally, after much deliberation, I choose the luscious Laguna shade with a contrasting zipper. In fact, I wore it out of the store as I was over the moon with my new purchase. Now, here comes the DIY embellishment part. Later, I remembered that I had 3 spools of crochet yarn left over from one of our crafting projects years ago. I could vaguely remember the shades, so last night I went digging. 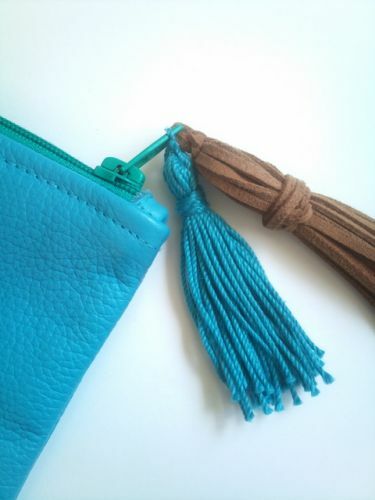 I was stunned, it was meant to be, the blue string we had was an exact match to my new clutch. You Tube video, I was on my way! In fact, after the first one, I dug out some old suede and made a second one, it is really that simple. We didn’t have any crochet hooks hanging around the Nolan house, but I do have an in house handy man, so I asked Matt to carve one for me out of an old chop stick. 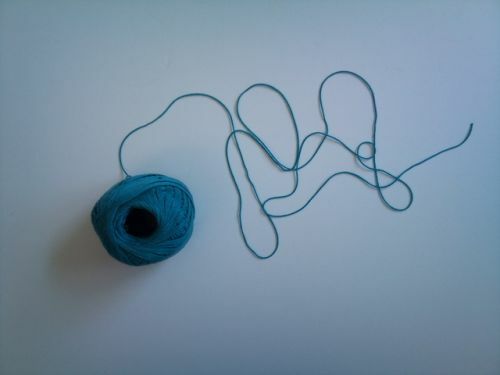 Worked like a charm for the bigger suede one and I used a needle to thread through the turquoise string. For those of you who have never made a tassel before, you will understand once you see the video. For you other crafty readers, you already know why the hook is so important! Now, my super cute leather pouch is the ultimate in “ChiqueNess”, right? In fact, I think it will get even better with age as the leather wrinkles and wears. But, I have been contemplating, do you think I need a third tassel? I am of the mentality that in design odds are better than evens, so I think I may add another. If so, what color? Or is it just because the boys are away and I am looking for things to do? Thoughts?